3) Add flour, and stir until thoroughly combined. 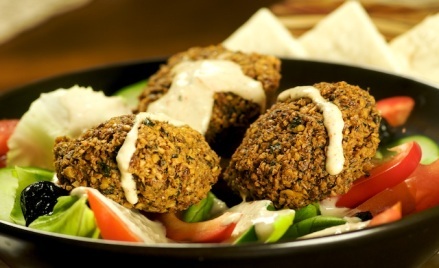 You can cook the Falafel right away, or store the batter in a tightly covered container in the refrigerator for several days. 4) Heat a heavy skillet and add about 3 Tbsp oil. When it is hot enough to sizzle a bread crumb on contact, drop tablespoons of batter into the pan, flattening each side, until golden and crisp. Add small amounts of extra oil to the pan as needed through out the cooking. 5) Place the cooked Falafel on a plate lined with paper towels and if necessary keep warm in a 300 degree F oven until serving time. 1) Place the tahini, lemon juice, and garlic in a food processor fitted with the steel blade. (You can also use a blender) Begin to process. 2) Keeping the motor running slowly drizzle in the water, checking every now and then to monitor the consistency. When it is as thick /thin as you want it, turn off the machine. 3) Transfer to a small bowl or container, and season to taste with salt, parsley, and if desired, cayenne. Cover tightly and refrigerate until ready for use. 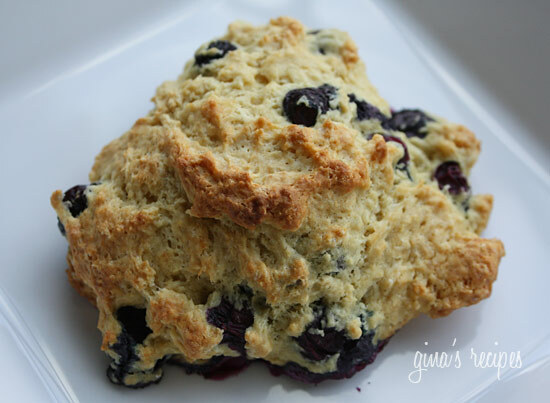 These tasty little scones are sure to tickle your taste buds! Add blueberries and flour ; toss well to mix. *Sprinkle ¾ cup of milk over mixture. Mix gently with a fork until dough just holds together. *Line cookie sheet with parchment paper; drop by tbsp., or ice cream scoop (not too thick). Gently pat down the scones until about 1 inch thick. 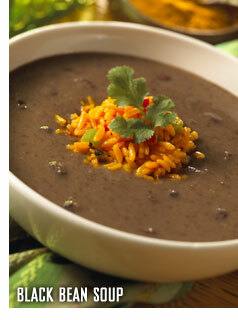 RECIPE OF THE WEEK-BLACK BEAN SOUP OLE! Heat oil in a large saucepan over medium-high heat until hot. Add onion, green pepper carrot and celery; sauté until tender. Add beans and remaining ingredients. Bring mixture to a boil. Cover, reduce heat, and simmer 30 minutes. Stirring occasionally. To serve, ladle soup into individual bowls.